1. 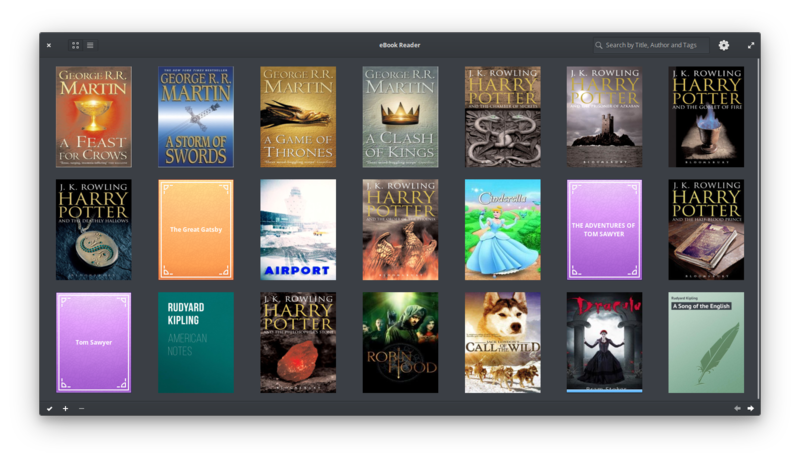 Toggle between a grid view and a list view for the library. 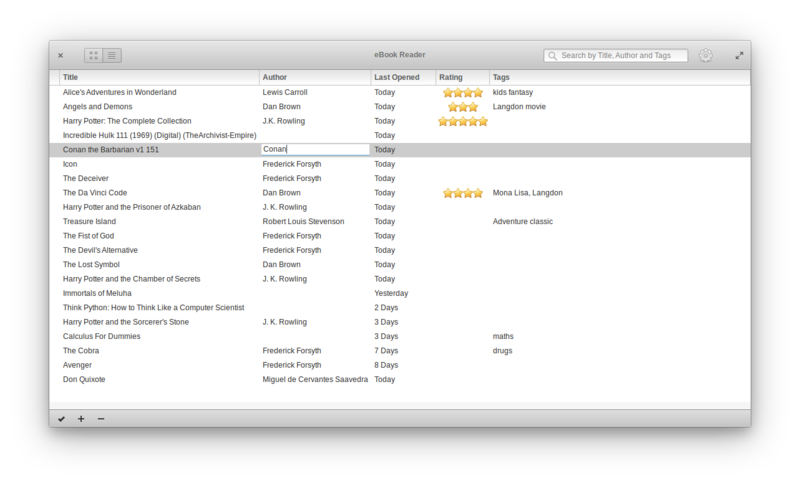 Editing the book metadata is possible in both views however the list view allows sorting of metadata. 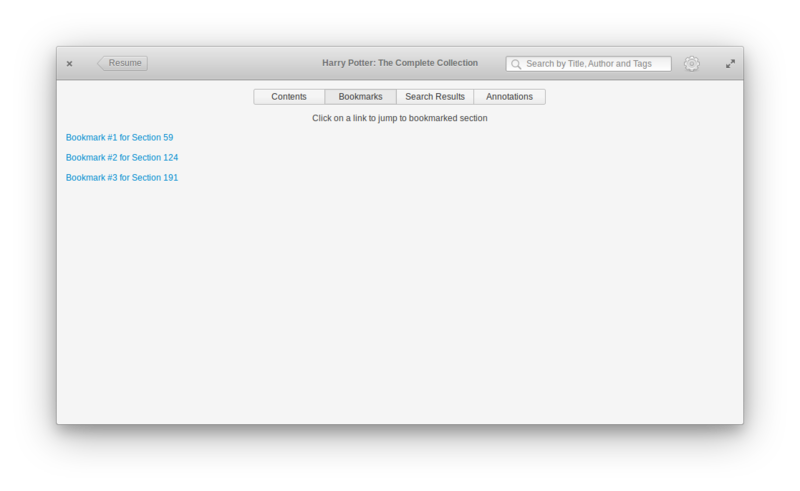 Filtering is possible using the search bar in the library view. 2. 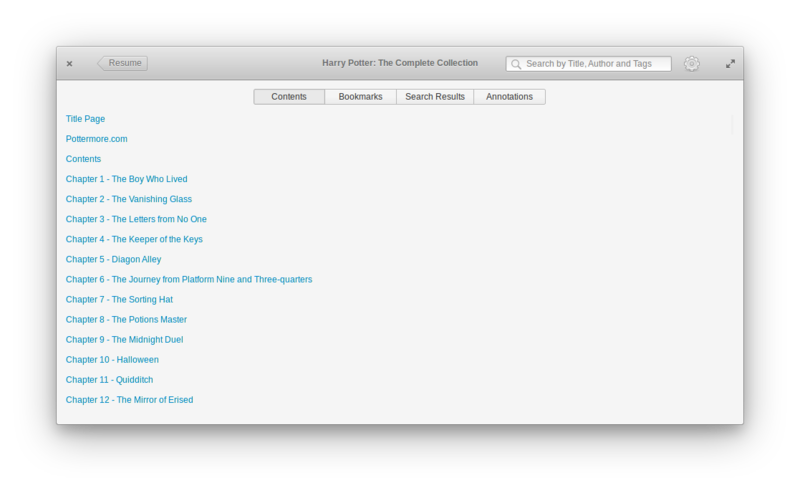 An easy, simple layout to read books irrespective of the ebook format (epub, pdf, cbr, mobi, etc). A preference menu  allows essential adjustments for text zoom in/out, margin increase/decrease and line width increase/decrease. Bookworm comes with three reading profiles of light, sepia and dark. 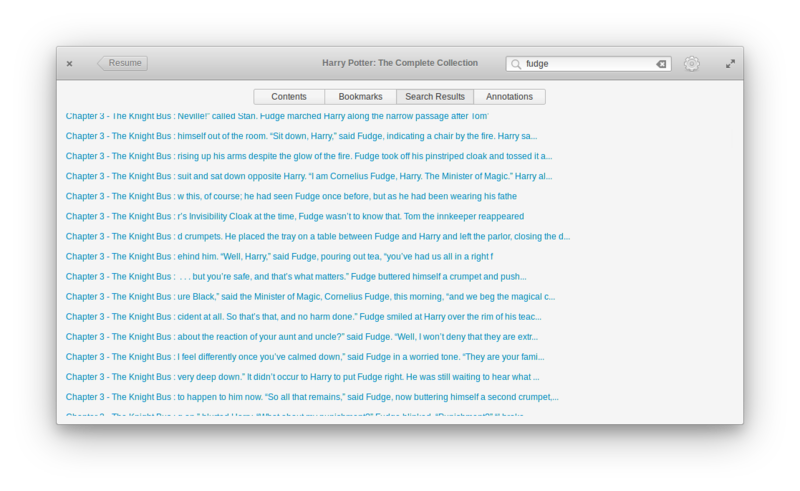 Multiple pages of the book can be bookmarked [ ]. Full screen mode is supported on right click or with the shortcut F11. Bookworm uses Weblate translation. 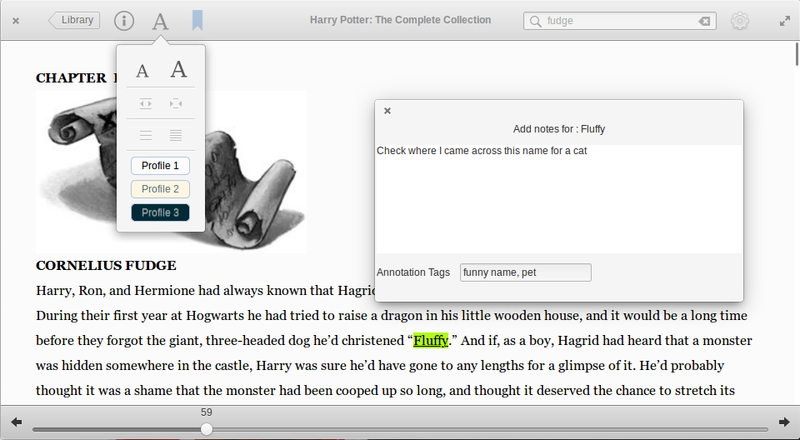 You can contribute by translating Bookworm to your favourite languages and make the user experience better. Use the badge below to navigate to the Weblate site for simple browser based translation. 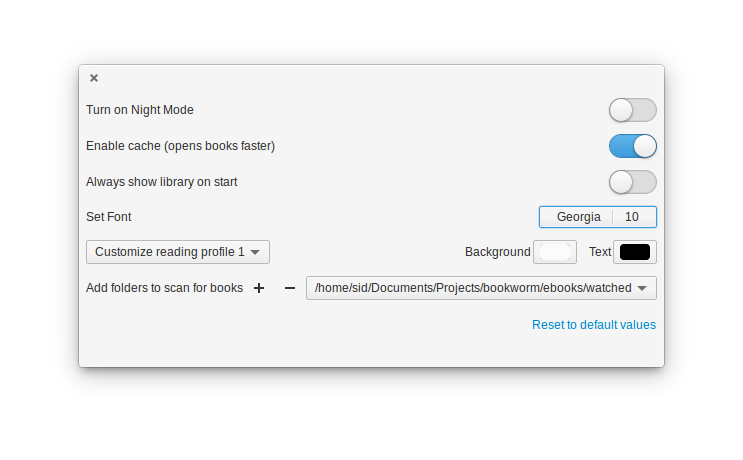 Bookworm is open source on GitHub. If you can find your way around in Vala, GTK and WebKit then Pull Requests are welcome. Otherwise you can raise an issue for a feature request.